Guillermo Del Toro is, visually speaking, one of the most distinctive directors working today. The way he lays out a scene, the color palette he uses…typically unique and unlike any anyone else. 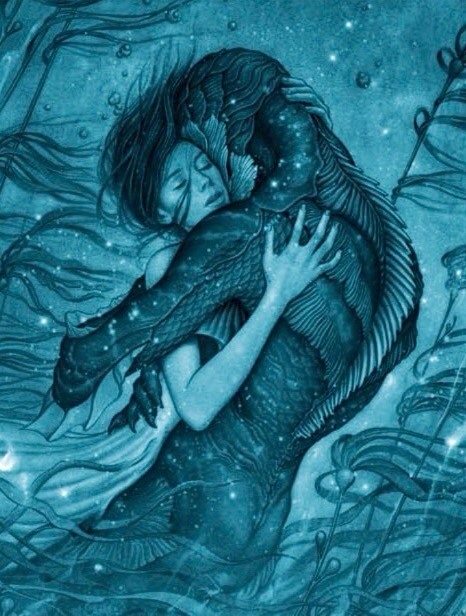 So, why am I (atypically) lukewarm toward his latest project, The Shape of Water? Maybe because it looks very much like things we have already seen from the auteur before. The set design of the laboratory where the creature is held looks too similar to designs he’s used in movies like Blade II and Hellboy 2: The Golden Army while the Deep One itself looks like a not-too-distant relation of Abe Sapien from the latter movie. In fact, the trailer plays almost as a Hellboy prequel (minus Hellboy, that is) which is certainly odd. Posted in directors, Fox Searchlight, Movies, Trailer Park, upcoming.Tagged Blade II, Guillermo Del Toro, Hellboy, Hellboy 2: The Golden Army.